Amanda Seyfried getting terrified by a chainsaw patriot. 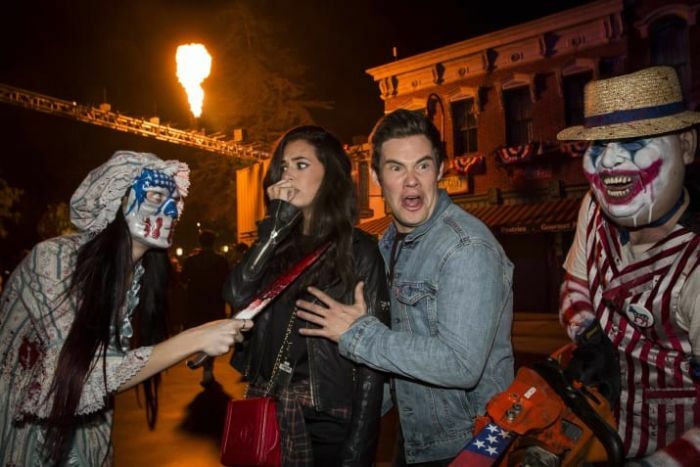 Adam Devine and Chloe Bridges contemplating their current life decisions. 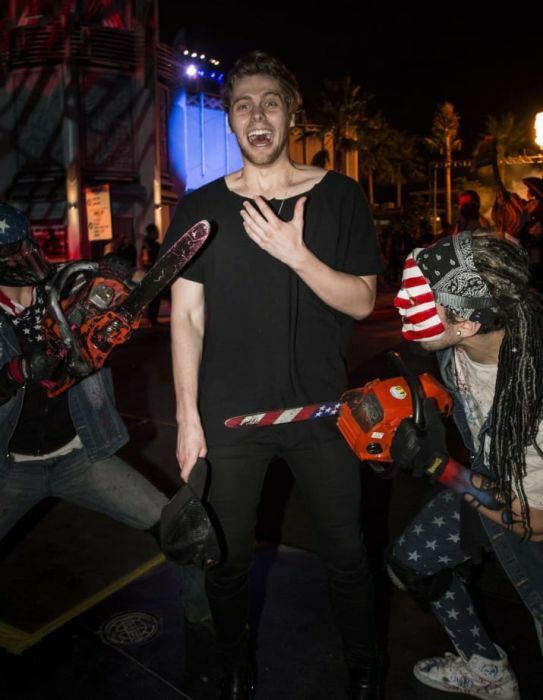 Josh Hutcherson being very not down with this chainsaw dude. Ashley Benson freakin' out at this pig-human-beast situation. Ariana Grande being fake scared (but truly enjoying this moment). 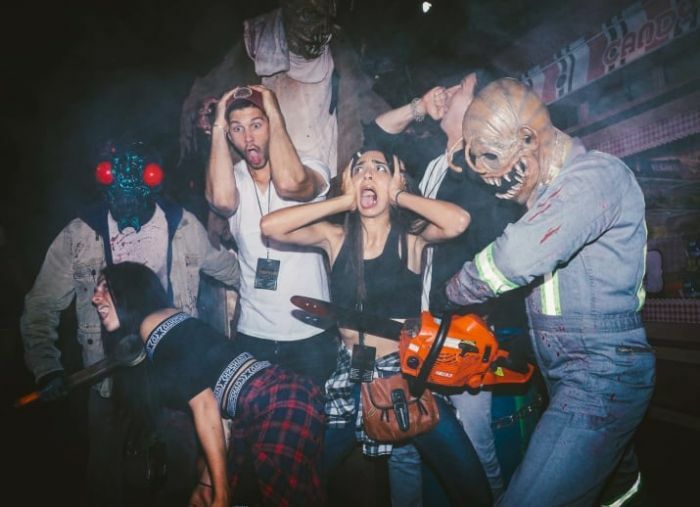 Shay Mitchell having a mild panic attack. Aubrey Plaza honestly living her best life?? 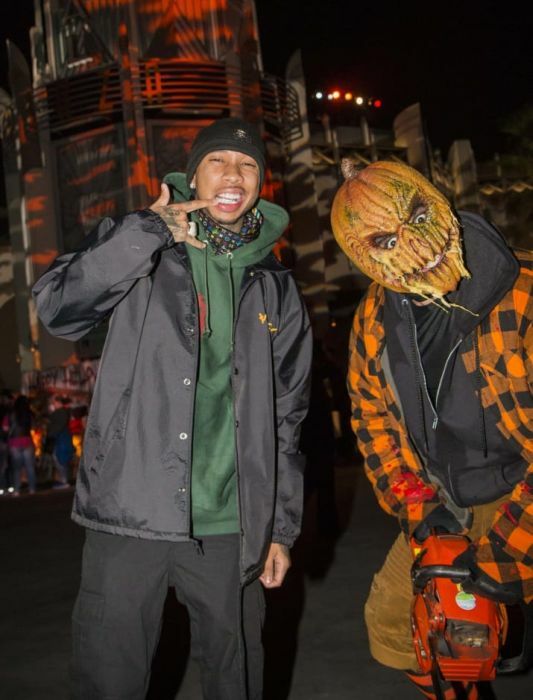 Tyga making new pumpkin friends. Madelaine Petsch flirting with new pumpkin friends. Chandler Riggs, Madison Lintz, and Kyla Kenedy getting spooked. 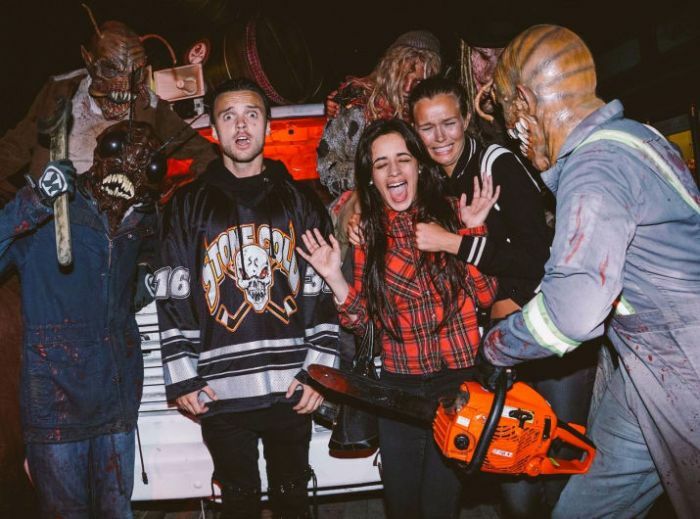 Camila Cabello, Alexander Deleon, and Josephine Skriver getting scared outta their minds. 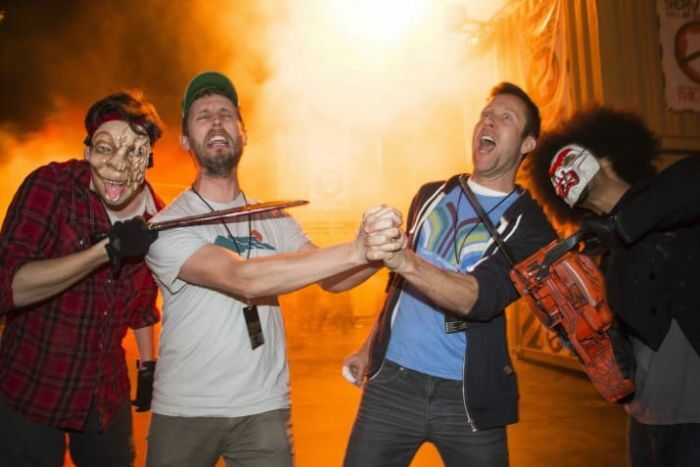 Jon Heder and Michael Rosenbaum holding on for dear life. 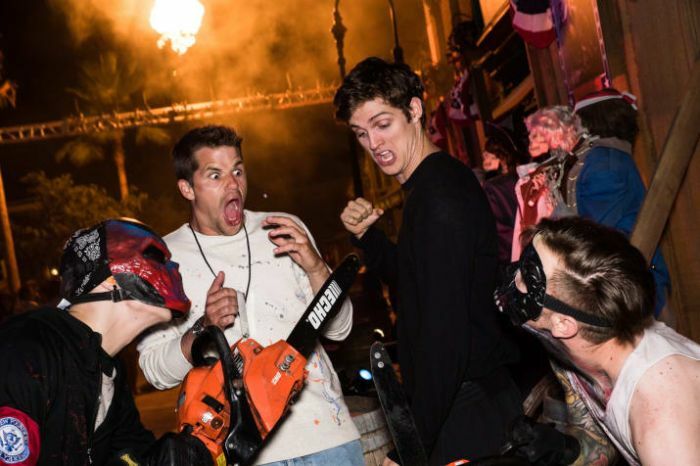 Max Carver and Daniel Sharman trying to fight back. And Casey Deidrick and Krewella losing their minds. #15 The one on the left will lose more than her mind, being so open to take that chainsaw. Or the dude will lose his chainsaw?